Grabau International is delighted to announce the listing of the 2005 Lagoon 440 ‘MILOS’. 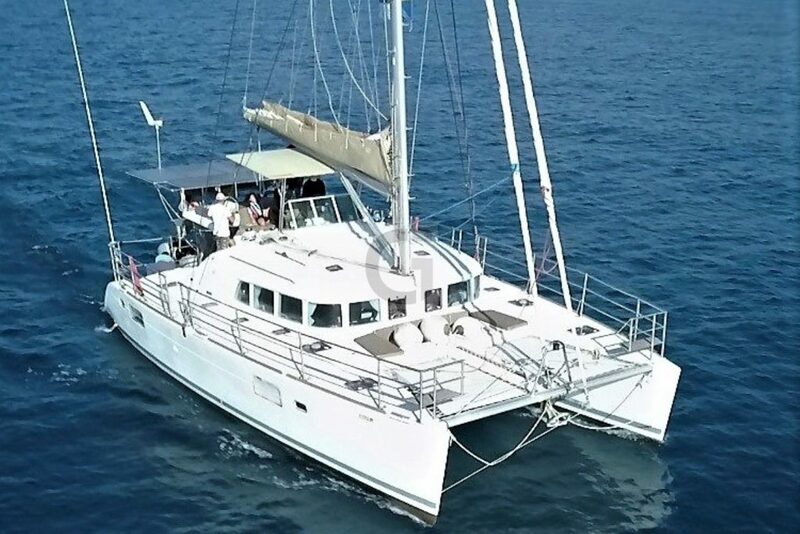 Turn key to Med and Caribbean Italian based blue water cruising catamaran, Milos is a well maintained and fully equipped three cabins owner’s version of the famous Lagoon 440. Milos is a 3 Cabin Owner’s Version and well equipped for World Circumnavigation and self-reliant travel Lagoon 440. Milos is surely on top of more than 400 Lagoon 440 built from 2004 to 2010. She is equipped to be independent from the shore power and she benefit from a recent expenditure from the owner who upgrades the boat to be ready to long distance cruising with his family. Everything is ready on board Milos to for the big step for some years out in the blue. Located in Sicily, MILOS represents an immediate opportunity to buy an immensely practical and nicely-updated cruising catamaran. “A 44 foot owner’s version at a very reasonable cost considering the history, condition and the upgrades. She offers immense space and all you need for comfortable Mediterranean or world cruising. The Lagoon 440 targets ocean cruisers with an emphasis on performance and ultra-comfort. A simple glace at the boat is enough to notice its main distinguishing characteristics: a rigid bimini, with an integral helm station, rigid railing, dingy davits and solar panels. Milos has the helm station at its ideal central location, with an extra-wide bench seat and double lounge cushion where guests can join the helmsman and participate in the joys of sailing. Four private owners and never chartered. Proven vessel that has crossed the Atlantic twice. Located in Sicily. EU VAT is paid. US flag. Owned by American. She is 100% independent from shore with: 1440 Watts Solar, Wind generator, Watermaker, 800 amp hrs of lithium batteries, 5000 watt inverter, tools, spare parts and fishing equipment are also on board. She has been well maintained and regularly updated to be a heavy-duty blue water cruising yacht. The boat has a copper coat underside. Upgraded anchor, rigid life-lines, custom dingy davits, upgraded 4 electric harken winches.